BASF and LetterOne have announced their agreement to appoint Paul Smith as future Chief Financial Officer (CFO) and member of the Management Board of Wintershall DEA. The appointment will take effect on closing of the merger of Wintershall and DEA, which is expected in the first half of 2019 and is still subject to customary regulatory approvals. "New Chief Financial Officer for Wintershall DEA"
Paul Smith has over 25 years of extensive international experience in the oil and gas industry having worked for Vesta Energy, Talisman Energy, and BP, and having held positions in Calgary, Trinidad and Tobago, London, Aberdeen and Russia. 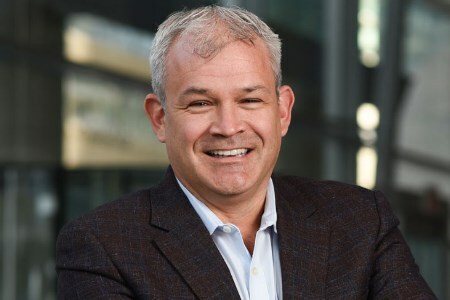 For the last two years Smith has been the CFO and Executive Vice President Corporate Development at Vesta Energy, a private oil and gas company based in Calgary. Prior to Vesta he was the CFO of Talisman Energy, a Calgary-based international independent with operations in over 20 countries. He was accountable for all Finance, Treasury, M&A, Investor Relations, Tax and Marketing activities and had extensive exposure to capital markets. During his tenure, he led the strategic review process for Talisman Energy, which culminated in the sale of the company to Repsol. Before becoming CFO, he was accountable for Talisman’s North American operations, a business producing 180 000 boe/d with 1300 employees. He led Talisman’s strategic shift in North America from conventional gas producer to leading shale gas producer, successfully divesting US$5 billion of non-core assets, and establishing positions for the company in four of the largest unconventional resource plays in North America. For the first 15 years of his career, Smith was employed in a variety of commercial, finance and operational leadership roles at BP. These include Senior Vice President West Siberia at TNK-BP, Business Unit leader of BP’s North Sea activity, CFO of BP’s business in Trinidad and Tobago, and member of the team appointed to lead the integration of BP and Amoco. Wintershall DEA will have exploration and production activity in 13 countries across Europe, Latin America, North Africa and the Middle East. The combined business would have had pro-forma production of approximately 575 000 boe/d in 2017, almost 70% of which comes from natural gas. Production is expected to rise to between 750 000 - 800 000 boe/d in the early 2020s as the company executes its business plan.